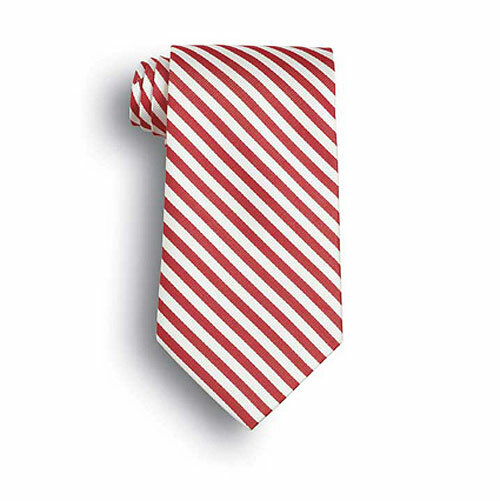 100% polyester red and white striped woven tie. Matching scarves available. Also available in silk. 58" standard length. Stain resistant. In stock and ready to ship. 12 piece minimum. Quantity discounts available. Individually poly bagged.